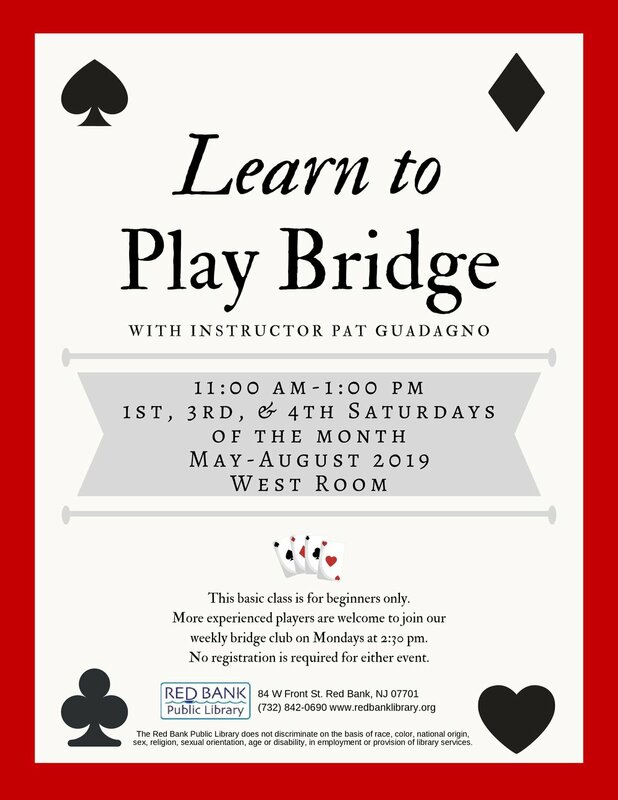 Learn to play bridge this summer with instructor Pat Guadagno. This beginner’s class will take place from 11:00 am-1:00 pm on the 1st, 3rd, & 4th Saturdays of each month from May through August, in the West Room. No registration is required. However, this class is for beginners only. More experienced players may join our weekly bridge club on Mondays from 2:30-4:30pm. For more information, contact the Reference Desk at (732) 842-0690 x111.